After passing waves of tax cuts in recent years, some lawmakers in several Republican-dominated states have decided it’s time to make a big exception and are pushing for tax increases to fix roads that are crumbling from years of neglect. In the past month alone, the Republican governors of Ohio, Alabama and Arkansas have signed fuel tax hikes. Meanwhile, proposed increases are being considered by three legislatures that are fully or partly GOP-controlled, including a whopping 45-cents-a-gallon hike in Michigan. The moves show a growing willingness in conservative places to take on the fearsome politics of higher taxes, at least for infrastructure. Republicans who otherwise support lower taxes are acknowledging that cutting government spending elsewhere in the budget won’t cover the cost of repairing the many miles of potholed roads and creaky bridges. Democratic Gov. Gretchen Whitmer won election last year after running on the slogan “Fix the Damn Roads.” Her plan would gradually add 45 cents to the cost of a gallon of gas by October 2020, which would be more than double the current 26-cents-per-gallon gas tax and make it the highest in the country. GOP legislative leaders have dismissed the proposed hike as way too much, but they are leaving open the prospect of passing a more modest increase in the face of intense pressure from the business community. In some states, Republican-leaning interests have become the biggest backers of higher taxes for this purpose, which is seen as necessary for economic development. While consumers are acutely conscious of prices at the pump, legislators are struggling to get around the difficult realities of the fuel surcharge that funds transportation projects. They are also facing the echoes of the tax cut promises they made in winning over many heartland states in the last decade — that getting tougher on spending wouldn’t mean worse services. In most states, the excise tax rate per gallon is fixed and doesn’t rise with inflation. And the federal gas tax has remained unchanged since 1993. Meanwhile, consumers are driving more fuel-efficient vehicles or are driving less, depressing revenue. The real purchasing power of the federal gas tax has fallen by 40% over the past quarter-century, and repair costs rise significantly when roads decline to a rating of poor or worse. This winter, Michigan’s Department of Transportation had to close 10 miles of Interstate 75 in suburban Detroit — one of the state’s most heavily trafficked stretches — because of vehicle damage from cracks and potholes. In Ohio, new Gov. Mike DeWine, a Republican who attacked his opponent in the 2018 campaign as a tax-friendly Democrat, this month signed off on a 10.5-cent gas tax increase and a 19-cent diesel tax hike. Republican Govs. Kay Ivey of Alabama and Asa Hutchinson of Arkansas last month signed increases that were their states’ first in decades, of 10 cents and 3 cents respectively. And the GOP-led General Assembly in Virginia this month voted to add 7 cents a gallon in some parts of the state, which was a win for Democratic Gov. Ralph Northam. Fuel tax increases also are under consideration in Wisconsin and Minnesota, where power is divided between the parties. The state plans pay little heed to President Donald Trump’s latest proposal for $200 billion in federal infrastructure spending. An earlier plan died in Congress and was heavily dependent on state and local funding, though House Speaker Nancy Pelosi and Trump talked this month about working together on an infrastructure package. In Michigan, the roads have become a state joke. Contests are held to find the worst pothole. An ice cream made by a Shelby Township company is called the “Michigan Pot Hole.” A 12-year-old Muskegon Heights boy recently attracted attention on local TV and social media for filling the ankle-deep pits on his street with dirt. Three years ago, the Republican-led Legislature approved a $1.2 billion road plan that raised fuel taxes and vehicle registration fees and was heavily dependent on shifting income tax revenue from an account that covers health care, higher education and other funding areas. But the effect was limited and Whitmer warns that without additional investment, the percentage of state-owned highways that are rated poor will double in five years, to 44%. Local streets are worse. 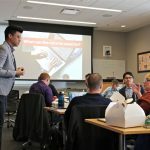 In recent years, Michigan’s Republican leadership has focused on cutting business taxes and expanding income tax credits. “This is 40 years of disinvestment in the state of Michigan, and it’s coming due now,” Whitmer said of the roads. 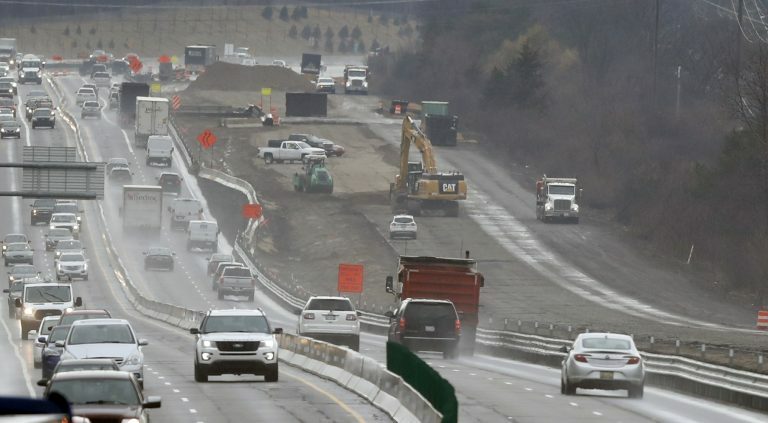 At a recent GOP meeting in Grand Rapids, Republican state Rep. Lynn Afendoulis said many of her colleagues first want to look into redirecting other state spending to roads and to see the 2015 laws fully implemented. A number of Republicans hope to dedicate Michigan’s sales tax on motor fuel to the transportation budget, but they have not detailed how that would be done without slicing funding for schools and municipalities. 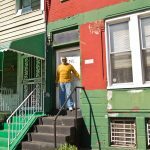 “I think there are people who are willing to talk about some sort of small tax, perhaps if we couldn’t find enough money elsewhere,” Afendoulis said. Whitmer’s plan would cost the average motorist $276 a year. She has proposed offsetting that burden with targeted income tax relief for retirees and low-income workers. Conservative Arkansas saw no alternative to higher taxes. The measure for adding another 3 cents per gallon for gas and 6 cents for diesel passed the Legislature by an overwhelming margin. “That shows the level of need and the level of support,” said Arkansas’ governor, Hutchinson. The law also will tap into expected revenue from casinos and imposes an additional registration fee on electric and hybrid vehicles. Ohio’s DeWine said the states can’t wait for the federal government to solve their road problems, noting that Ohio ships more federal gas tax revenue to Washington than it receives in return. 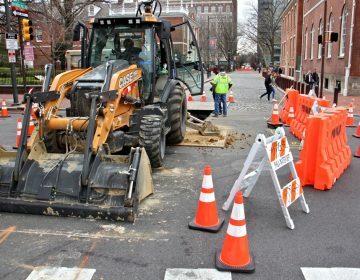 The Philadelphia Water Department has closed South 5th Street between Chestnut and Walnut in hopes of preventing a road collapse in the heart of the busy historic destination. 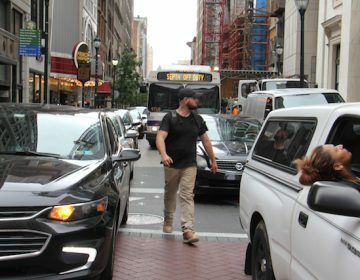 Why is congestion so bad in Philadelphia and how can transportation be improved for drivers, cyclists, walkers, and everyone in between? 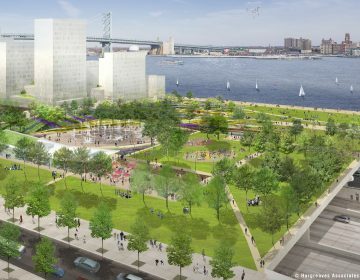 A new dock for dragon boats, HVAC systems for the city’s homeless shelters, and a cap for I-95 along Penn’s Landing are among the capital projects.